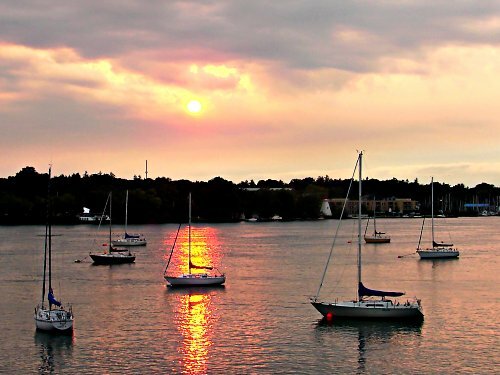 A very colorful sunset over the Niagara river. Thanks for the great Comments Kathleen and Ann,I'm glad you enjoyed it. Very nice composition with the reflections of the sunset crossing over the sail boat. Beautiful coloring. A beautiful scene, love the pastel colors of sky and water.